Twilight is the most magical part of the day. The world seems to settle down as the sun sinks into the horizon. 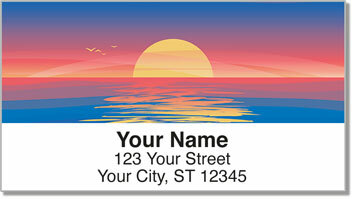 These original return address labels capture the peace and beauty of dusk. Stick them on all your letters and packages to give them an eye-catching look. 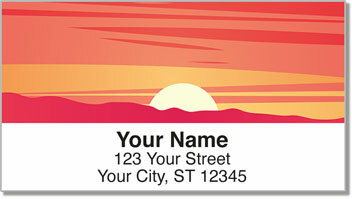 Striking Sunset Address Labels from CheckAdvantage are a great way to save time preparing your outgoing mail. Instead of dealing with the painstaking process of writing out your name and address on every envelope, you can simply peel and place these labels using the convenient self-adhesive backing. 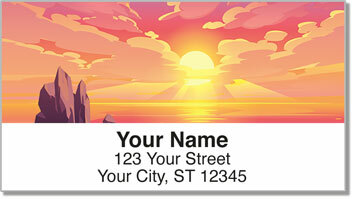 Get your very own Striking Sunset Address Labels now! 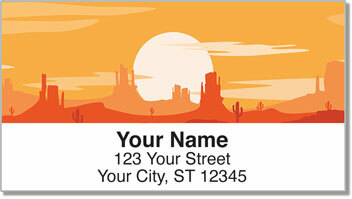 We also offer this design in a set of matching personal checks.